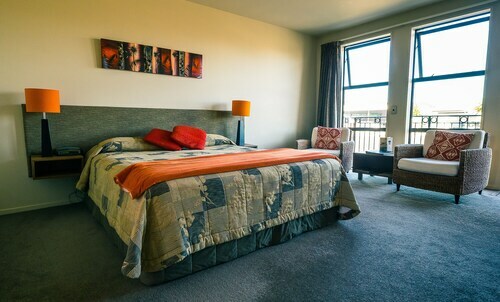 Located in the heart of Greymouth, this eco-friendly hotel is within a 5-minute walk of Left Bank Art Gallery and West Coast Rail Trail. History House Museum and Monteith's Brewing Company are also within 15 minutes. 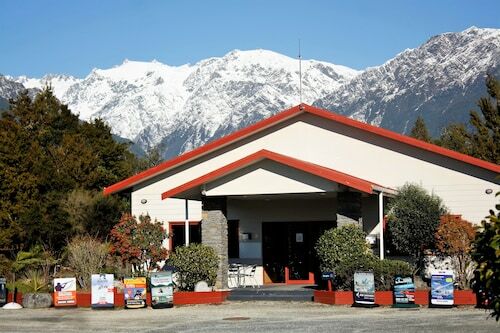 Situated in a national park, this motel is 3.1 mi (5 km) from Fox Glacier and within 16 mi (25 km) of St James Anglican Church and Westcoast Wildlife Centre. Glacier Hot Pools and Our Lady of the Alps are also within 16 mi (25 km). 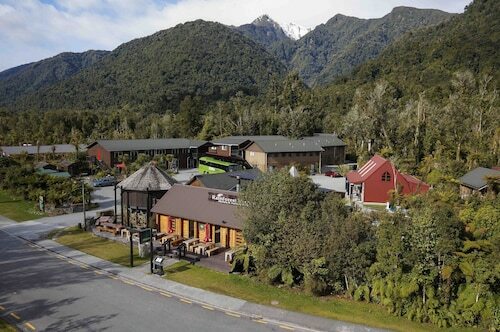 Situated in Fox Glacier, this motel is 3.6 mi (5.8 km) from Fox Glacier and within 16 mi (25 km) of St James Anglican Church and Westcoast Wildlife Centre. Glacier Hot Pools and Our Lady of the Alps are also within 16 mi (25 km). 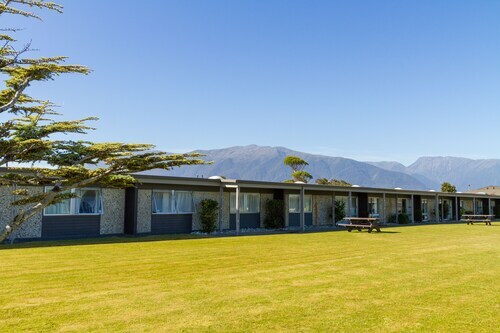 Situated in Greymouth, this motel is within a 15-minute walk of Grey District Aquatic Centre and Monteith's Brewing Company. West Coast Rail Trail and Left Bank Art Gallery are also within 1 mi (2 km). 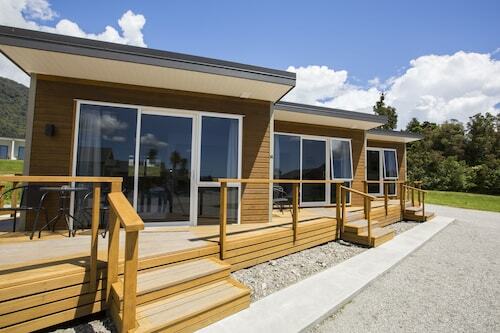 Situated by the sea, this eco-friendly holiday park is within 2 mi (3 km) of Grey District Aquatic Centre, Monteith's Brewing Company, and West Coast Rail Trail. History House Museum and Left Bank Art Gallery are also within 3 mi (5 km). 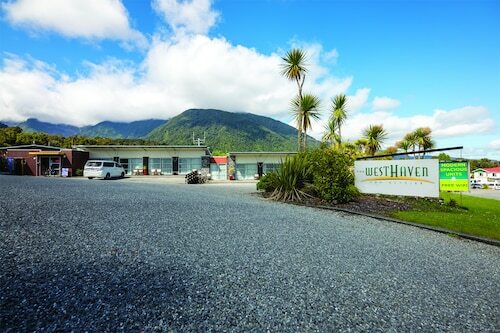 Situated in Haast, this eco-friendly hotel is within 1 mi (2 km) of Haast Visitor Centre and Haast Beach. Waita Beach and Hapuka Estuary Walk are also within 9 mi (15 km). Sitting between the ocean and the towering Southern Alps, New Zealand’s West Coast really is like nowhere else on earth. Wild, rugged, and very scenic, it’s one of the South Island’s finest landscapes. See New Zealand as nature created it. Stretching over 600 kilometres, it boasts a staggering range of activities, as well as plenty of sightseeing and attractions. You can explore the area’s history, heritage, and culture making the West Coast an excellent all-round destination. Whatever you’re looking for, you’ll find it along the spectacular West Coast! We have some amazing West Coast accommodation available in a variety of different locations, so come and explore this gorgeous part of the world. 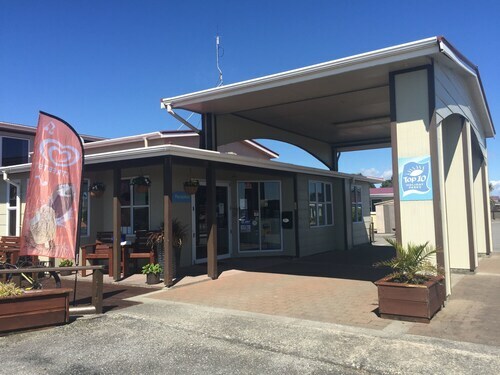 Driving along the scenic Great Coast Road is a favourite pastime for visitors who want to take in the varied landscapes and stop by local towns and villages along the coast. 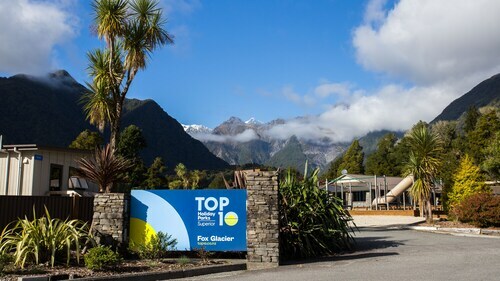 Some major destinations include the rocks and blowholes at Punakaiki, the Fox Glacier and the Franz Josef Glacier, the area’s largest town of Greymouth, which is surrounded by dazzling lakes, laid-back Karamea, Westport, Hari Hari, and Haaf. Take a step back in time at Shantytown and imagine how it must have been during its heyday. Beaches, forests, cliffs, and mountains all add to the varied and interesting terrain that’s ready and waiting to inspire you. Activities include hiking, climbing, mountain biking, horse riding, wildlife spotting, caving, fishing, panning for gold, and relaxing on sandy beaches. Take to the waters, sea and river for swimming, surfing, kayaking, canoeing, rafting, jet skiing, and boating, or go hiking and walking to admire the spectacular glaciers. Venture into an old mine and wander around eerie old ghost towns. At Westcoast Treetop Walk, you can take a stroll through the treetops and see the world below like a bird. Alternatively, take to the skies with a scenic pleasure flight to admire the wondrous landscapes below. There is a wide choice of places to eat and drink along the West Coast and locals are known for being welcoming and friendly. 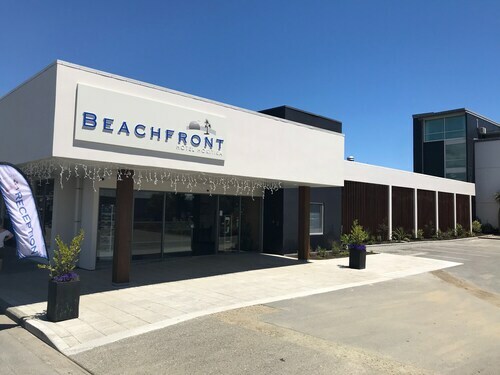 If all this sounds too good to be true, close your eyes, imagine you’re there, and then get your flight to Christchurch booked and your West Coast hotel sorted with us to experience this magical region for yourself! How Much is a Hotel Room in West Coast? 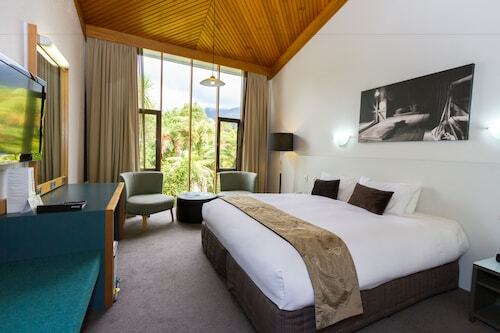 Hotels in West Coast start at NZ$63 per night. Prices and availability subject to change. Additional terms may apply. Lots to do for the kids, amenities were great & options to cook in room very good. Enjoyable stay. 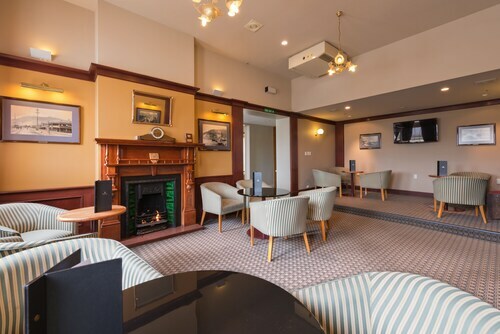 Fantastic location, relaxing, this is an ideal place to stop and have a rest midway between east and west. 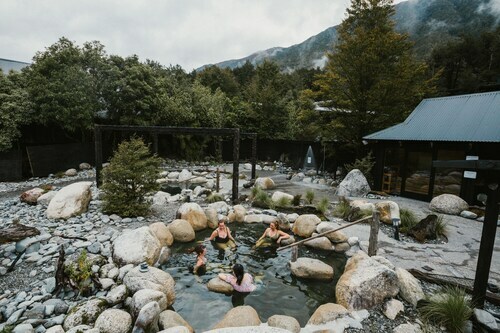 Hot pools are very therapeutic.